A P.E.I. dairy farmer has taken on a new project to shed a positive light on his industry — releasing a photography book by putting his cows in front of the lens. 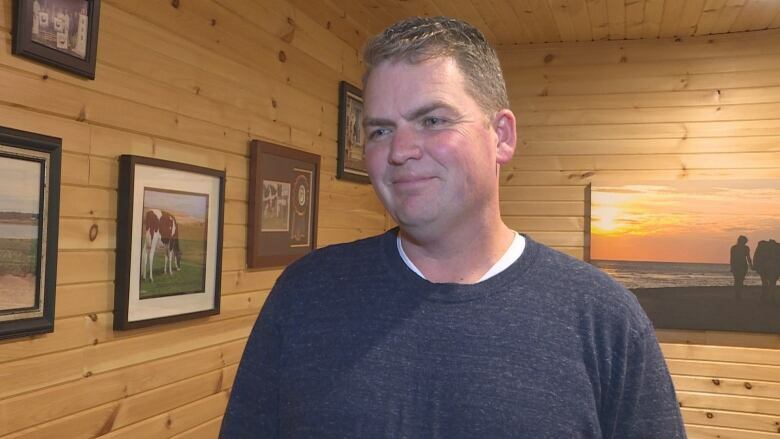 Bloyce Thompson, owner of Eastside Holsteins, in Frenchfort, P.E.I., said it’s been a difficult time for dairy farmers on the Island with many expressing their frustration and disappointment with the new United States-Mexico-Canada trade agreement. Thompson said many farmers have professional photos taken of their animals, but he didn’t want to stick to traditional barnyard portraits. It’s no secret that P.E.I. is full of scenic landscapes that make a perfect backdrop for photographers, Thompson said. 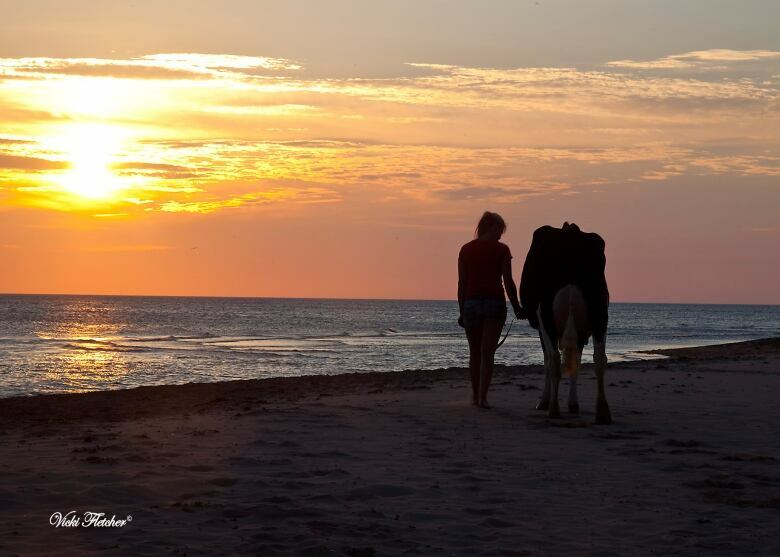 So one day he decided to put one of his cows on a trailer and head for the nearest beach. He said he’s been doing scenic photo shoots with his cows for the last 20 years. After reminiscing over old photos during his last shoot, he got the idea to put them together in a coffee table book. 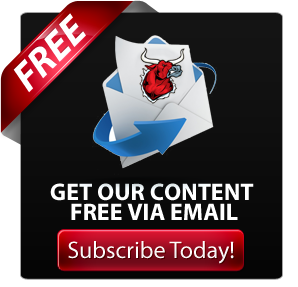 “There’s a lot of great stories that go with every picture,” Thompson said. 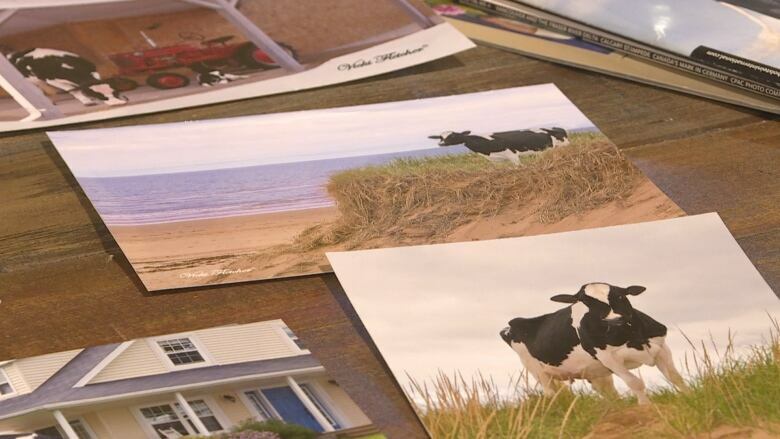 Thompson has had his cows photographed all across P.E.I. That includes beaches at Blooming Point, Tracadie and Wood Islands. 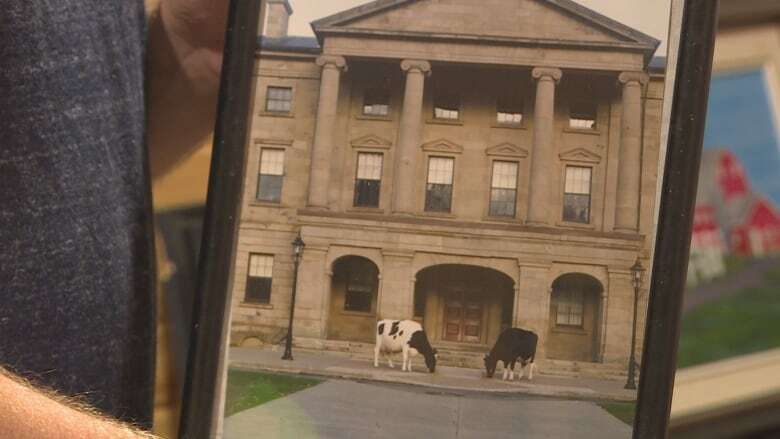 He said he’s posed his cows on top of sand dunes and outside Province House in downtown Charlottetown. Many of the photos have been featured in magazines, he added. 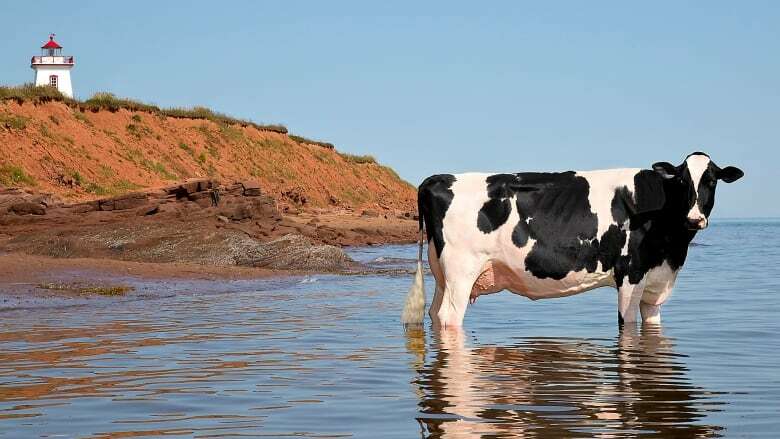 Thompson is co-creating the book with Vicki Fletcher, an Ontario-based livestock photographer, who has photographed his animals for the past two decades. She said she’s photographed animals all across the country and the photo shoots she does with Thompson are unique. “We go on quite a few adventures with him,” Fletcher said. Fletcher said the scenic photo shoots are always a fun way to get creative with the animals, but not always easy. “Luck has a lot to do with it, being fast is another one,” Fletcher said. She said she usually brings a crew of at least five people to help co-ordinate the shoots, which often attracts a crowd of curious tourists shocked at the sight of a cow perched on top of a sand dune or strolling through the waves on the beach. 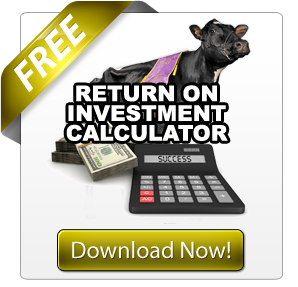 “Other times it’s seeing a spot you want to get to and trying to figure out how to get the cow there to that spot. That’s the trick,” she said. Thompson said he’s already gathered dozens of photos for the book, each one reminding him of the different animals he’s had over the years. He said he hopes the book will give farmers a chance to appreciate the beauty of their industry and give Islanders a nice glimpse of home. 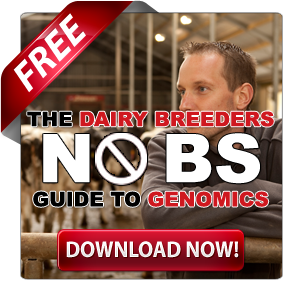 “Every farmer has their favourite cow and they love to talk about cows and cow breeding so this just kind of adds a little nostalgia to it,” Thompson said. 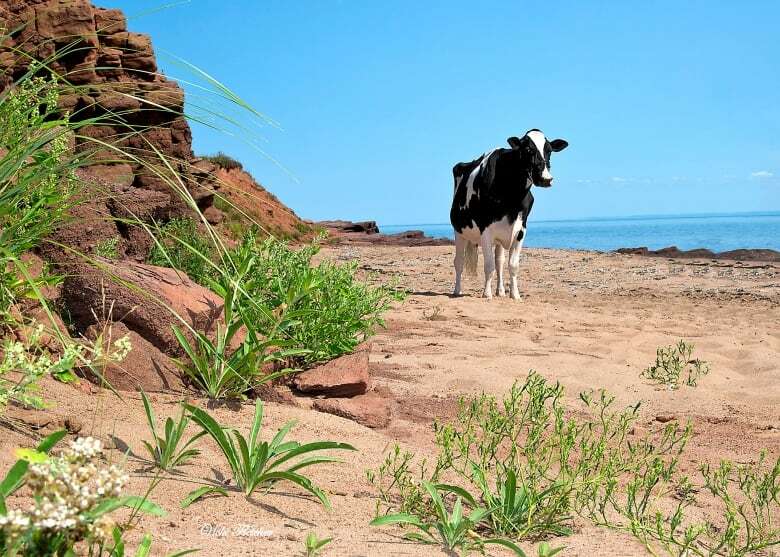 Thompson said he plans to release the book next April when the national Holstein convention is held in Charlottetown.